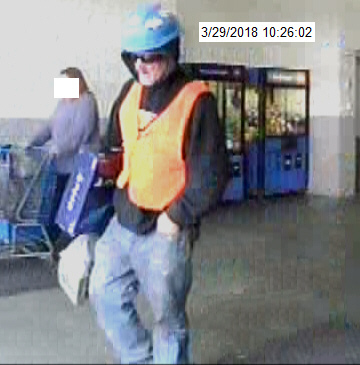 Detectives are looking to ID the following subject regarding an incident of unauthorized use of credit card and theft. If you can provide any information that would be helpful in identifying this male subject, contact Iowa City Area CrimeStoppers. Iowa City Area CrimeStoppers is offering a reward of up to $1000 for information leading to the arrest of the suspect. Anyone with information about this crime is urged to contact CrimeStoppers at 358-TIPS (8477) or at http://www.iccrimestoppers.org. All contacts are held in strict confidence and anonymity is guaranteed. Individuals providing information do not have to reveal their identity to collect a reward. Click to follow this blog and receive an e-mail notification when we post new crime information.